Hi Laura! Your gallery is amazing! I viewed 36 of your beautiful pots! 36 x 5*****! I will visit again! Hello, Laura. Voted on the newest 2 pots with 5⭐️ Great creativity. I will be very glad if you can leave stars on my pots you liked. All the best! WELCOME BACK - SWEET LAURA !!!!!!!!!! ☆☆☆☆☆ to all pots from page 1 to page 10. WELCOME BACK - SWEETIE LAURA !!! 28 X 5***** for your magnificent,amazing pots !!! 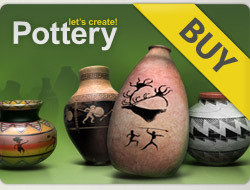 Now all your brilliant pots is voted with five stars !! I'm very happy you are here !! A very happy Sunday with lots of love !! !